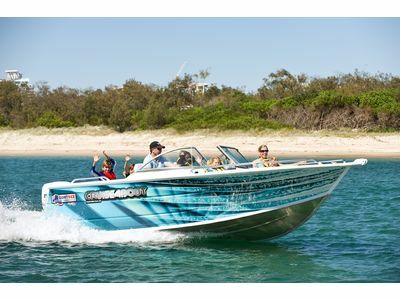 Quintrex Bowriders are a great option if you want to fit the whole family for a day on the water. Bowriders have plenty of room for relaxing with a the large luxurious front lounge or the comfort of a rear folding lounge. The stylish Cruiseabout models are often used for swimming, watersports and fishing. We have a great range of bowriders for sale and if you have any questions, you can contact our friendly team. 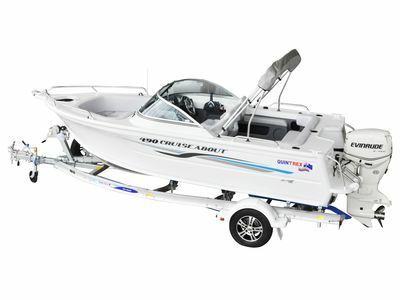 This reasonably sized model is perfect for those after a versatile boating option. Easy to handle and maintain this model is perfect for family entertainment as well as fishing. With room for up to seven friends or family members and rated up to a 130hp outboard, this bowrider is the perfect option for taking some time out on the water to relax. It's the little things that make a difference, like Maritime Sports seats, Rear folding longe and the new look smooth side sheets complete with paint. What an ideal way to start living the Bowrider dream, boating in comfort and style. Family safety is ensured in a 510 Cruieabout with Blade Hull. With the perfect mix of looks, comfort, space and fishability is there anything this boat can't do? This boat has enough looks and sophistication for anyone to proudly park it in their driveway. 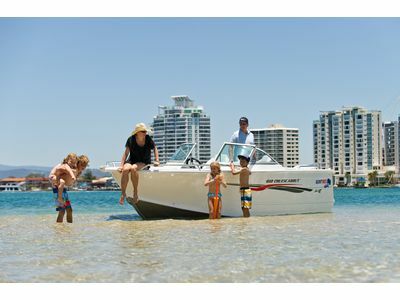 A true family boat there is plenty of room aboard this Cruiseabout and whether you like water sports or long weekends relaxing the 650 Cruiseabout is the boat to suit every family. You'll be the envy of boaties everywhere in a 610 Cruiseabout. This model allows you to cruise in comfort with the Blade Hull and Flared Bow combination along with a radio, fish finder, and new rear folding lounge. There is plenty of room for relaxing in the 570 Cruiseabout with a large and luxurious front lounge and a new rear folding lounge, which can be folded flush against the transom when extra space is required.